Introducing Smelting the new spring/summer colouring technique. Aleks Abadia, Co-Founder and Hair Director of cutting edge salon and beauty parlour Esstudio Galleria is introducing smelting - the new colouring technique set to explode this Spring/Summer. Aleks Abadia says, "We discovered the smelting technique when experimenting with new ways to repair and restore bad colour jobs, fix banding issues and clean up home hair colours gone bad. Smelt is melting down the roots and smudging colours throughout the hair. "The new smelting colouring technique involves lifting the overall colour to the lightest levels of blonde from roots to the ends. This will give hair extra volume, body and create loads of texture with tones and depth of colour shades. 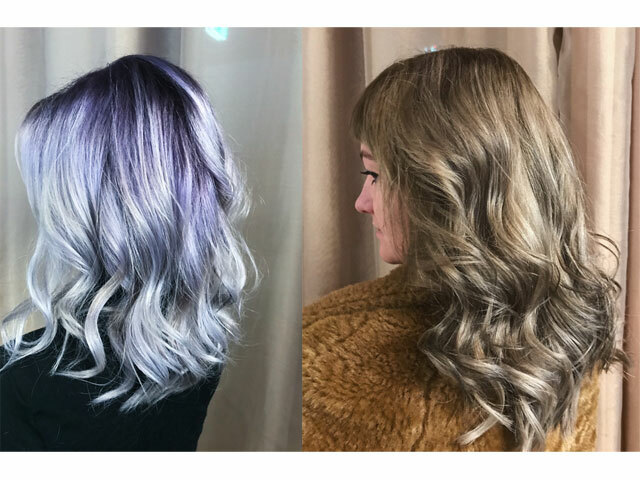 This allows us to play with smelting colours from roots to the ends, creating amazing texture, dimension and movement to the hair," said Aleks. 1. Lift it up to the lightest blonde all over. 2. Dirty the roots by smelting the desired toner through to the ends. 3. Add low lights running through the hair via free hand toner application. 4. Apply an all over toner to blend the colour and complete the look. The new smelting technique is a low maintenance hair colour application and reduces visits to the salon due to the versatility of the end colour result. Aleks recommends six week visits with four blonding lift ups a year with toner smelts in between for a low level maintenance colour. "We've managed to bring up 2-inch regrowth doing a root lift colour and then toned it down to keep it low maintenance for the client. This gives the hair a chance to have a break resulting in healthier hair and reduced cost and time for our clients. We also get to show our colour creativity through the process," said Aleks. The new smelting technique is available now at Esstudio Galleria Chippendale and Esstudio Galleria Colour Bar Parramatta from $350.